This sign is for Golden Cola Sun Drop. The sign’s colors are yellow, green, red, and white. 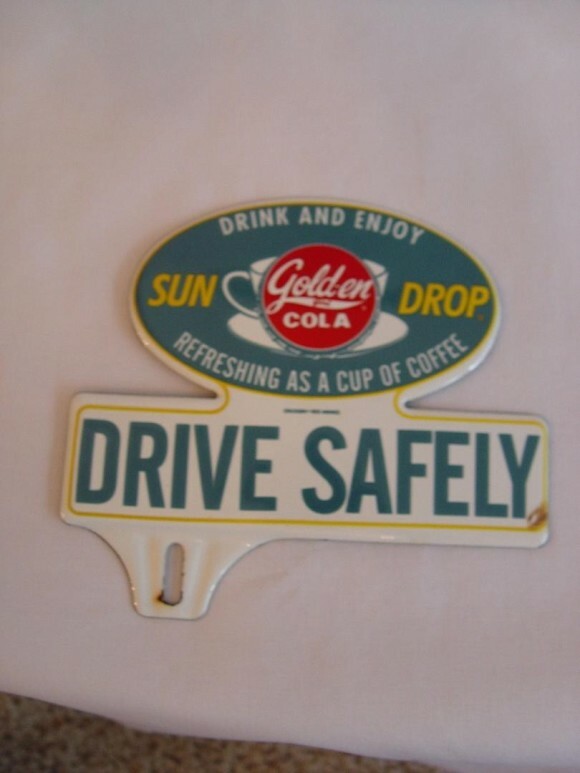 The text on the sign reads: Drink and enjoy Sun Drop Golden Cola refreshing as a cup of coffee Drive Safely. The sign shows a cup in the center of the die cut sign with text surrounding.